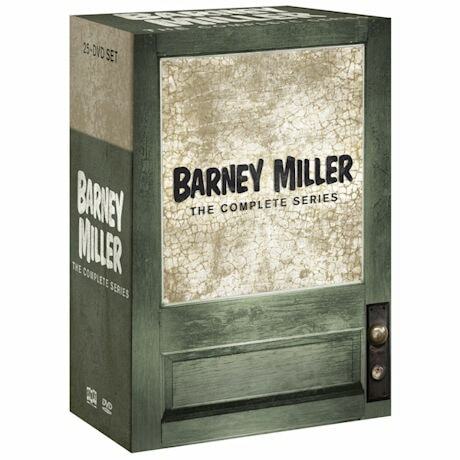 Set in a New York City police station in Greenwich Village, Barney Miller earned two Golden Globes, three Emmys®, and millions of fans during its long run on ABC (1974-82). Hal Linden stars as the sensible captain of the "One-Two," a squad of quirky characters including a laid-back Japanese-American cop from Omaha, a would-be author, and a seen-it-all veteran (Abe Vigoda as Fish). Set includes every episode of the beloved sitcom, many bonus features, and a 32-page booklet. 170 episodes, 73 hrs, 25 DVDs. Barney Miller is the recipient of 43 industry award nominations and 9 industry award wins including Golden Globes, Emmys, and the prestigious Peabody Award.